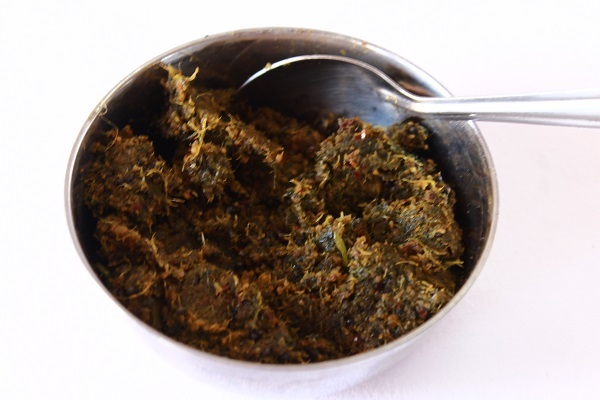 Kothamalli thokku is a very tasty and easy to make dish which can be served with rice or with dosa. As I have already discussed here, my husband being born and brought up in Chennai, is a very big fan of tokku, thogayals, and other kuzhambu varieties. So I try to make it whenever possible and this is one such dish which my MIL taught me. She adds coconut also to this, but I have avoided the usage of coconut. I had a bunch of coriander leaves lying in the fridge and wanted to make use of it before it spoils. So made this thokku. 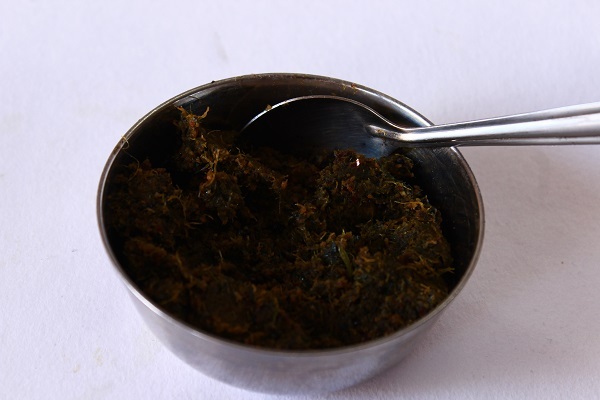 The interesting part of this thokku is that it is very easy to prepare and you can store it for few days. 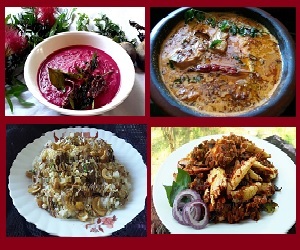 It won’t get spoiled fast as onion, tomato or coconuts are not used. And one more thing, it is sauteed in sesame oil, which makes it more healthy. Sesame is supposed to have an ability to purify blood (as my grandmother always says). So do try out this thokku..
1. 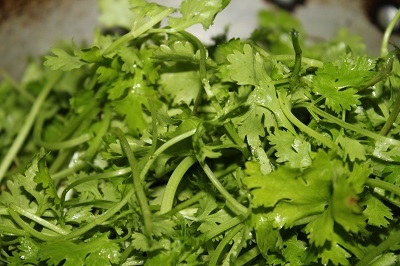 Wash and clean coriander leaves. Chop it roughly. Discard the hard and mature stem. 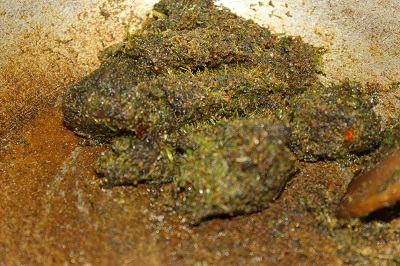 Spread it on a paper for 6 – 7 hours or overnight till it becomes dry. 2. 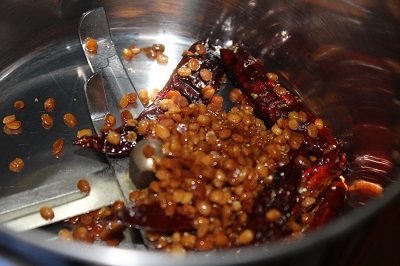 Add 1 tsp of oil to a pan, and fry dry red chillies and urud dal. Finally add asafoetida powder and mix well. Allow it to cool and transfer it to mixer jar. 3. In the same pan, add coriander leaves, tamarind and saute well till the moisture gets evaporated completely. 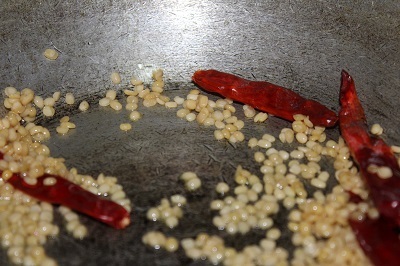 Saute till leaves get completely shrinked. 4. 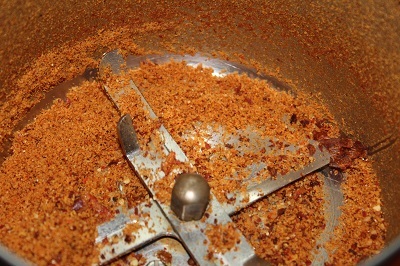 First grind the urud dal, red chilli and salt into a coarse mixture. 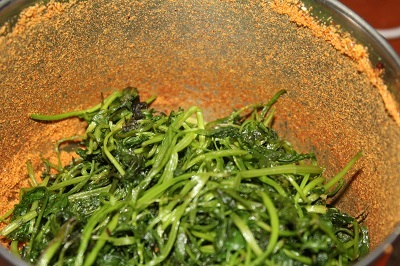 Then add sauteed coriander leaves and blend it well to a paste without adding water. 5. Heat pan with oil. 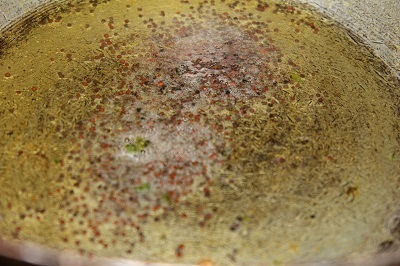 Once the oil is hot enough splutter mustard seeds. Then add the ground coriander chutney and saute for few seconds. 6. Once it becomes cool, store it in a clean dry container.